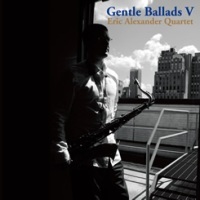 Description: The fifth installment of tenor saxophonist Eric Alexander's "Gentle Ballads" series doesn't disappoint. His unwavering, strong tone and unsentimental approach, combined with a certain peacefulness and strong spirituality of his playing, produce stunning results. For the first time in this series, master pianist George Cables joins the band and makes valuable contributions. Recommended! Produced by Tetsuo Hara and Todd Barkan. Recorded March 29 and 30, 2011 at Avatar Studio in New York. Engineered by Katherine Miller. Mixed and Mastered by Tetsuo Hara. Special gate-fold paper sleeve edition.